Steve Ryan | HOPE Global Forums | Presented by Operation HOPE, Inc.
Mr. Ryan provides a broad range of representation, including lobbying, litigation and counseling services to U.S. corporations and CEOs. 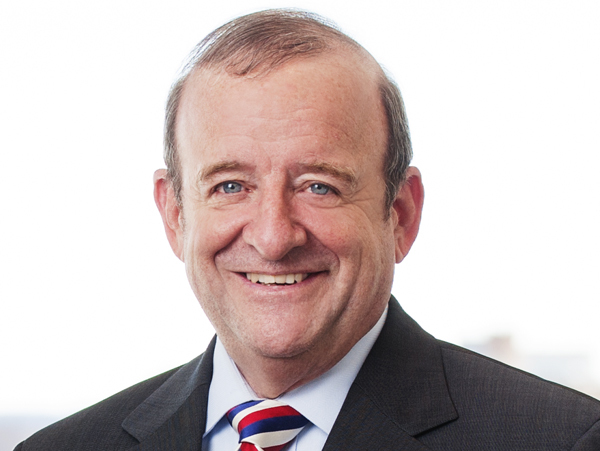 He heads the federal lobbyists, government policy advocates and federal government contract lawyers of McDermott Will & Emery LLP and has practiced law for 37 years. He represents clients in cases of national importance. Mr. Ryan has extensive experience in all branches of our government. He served as General Counsel to the U.S. Senate Committee on Governmental Affairs (GAC), chaired by the Honorable John Glenn. He served as an Assistant United States Attorney and as Deputy Counsel of the President’s Commission on Organized Crime. He clerked for two years for a Federal Judge. He taught for a decade as an adjunct Professor of Law at Georgetown University Law School. He previously served as an advisor in Latvia, Lithuania and Poland during the 1990’s for rule of law projects. Mr. Ryan was the founding Chairman of Operation HOPE’s Mid-Atlantic Board and has served Operation Hope in a variety of capacities since March 2000, including serving on the Global board since 2011. He served Dr. Bernice King and Ambassador Andrew Young on critical issues regarding the future of The Martin Luther King, Jr. Center for Nonviolent Social Change. He is a Board member of the Shakespeare Theatre in Washington, DC, and heads its annual ‘Will on the Hill’ fundraiser, where Members of Congress appear on stage. Steve is a graduate of Cornell University and the University of Notre Dame Law School.